Laurent is the owner of a Goosehead agency located in Irvine, CA. Originally from Brussels, Belgium, Laurent comes to Goosehead with over 20 years of real estate and mortgage banking experience. While growing up in Belgium, Laurent played professional tennis and enjoyed traveling the world. 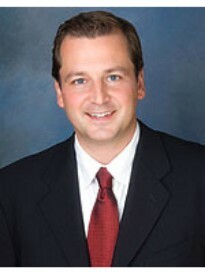 Laurent also graduated from Chapman University in Orange, CA with a Bachelor in Finance and a Master’s degree. As a Goosehead agency, Laurent and his team represent over 20 top rated local and national carriers to help delivering the best products at the best price for you and your family. Our goal is to provide our valuable clients with the power of choice, flexibility and peace of mind. Our knowledge, expertise and cutting-edge technology will help you save valuable time and protect the lifestyle you deserve. Our unwavering commitment to excellence has earned us a reputation as one of the most respected companies in the industry. We value relationships with each and every client and looking forward to providing excellent service for many years to come. Give us a call today to experience the Goosehead way. Making a difference one policy at a time.